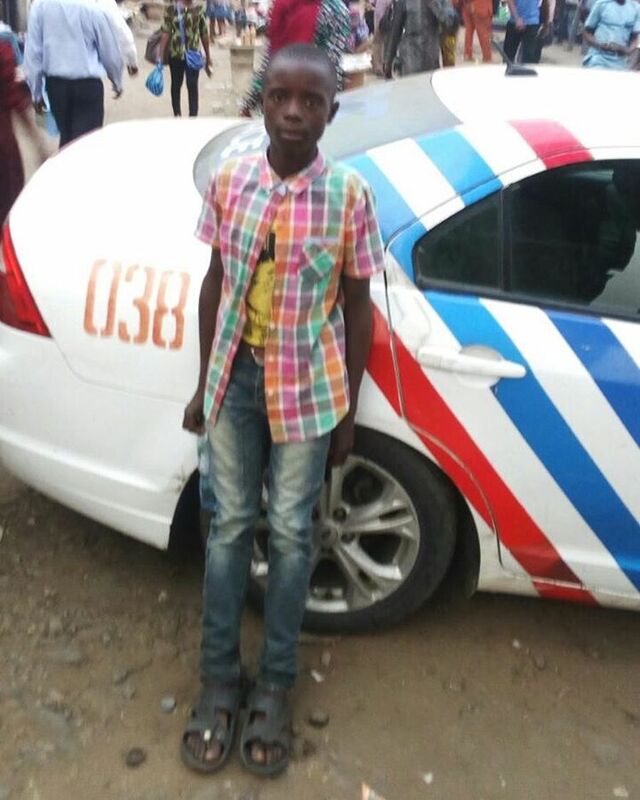 14-year-old boy flees his parents' home in Jos, gets caught in Lagos. Israel Solomon, who fled his parent's home in Jos was yesterday evening intercepted and rescued by operatives of Rapid Response Squad (RRS) of the Lagos Police Command at Ojota, Lagos. Solomon was seen wandering Ojota Bus Stop, when the operatives decided to call him for questioning. He said that his parents live in Mango Junction, Opposite Gada Biyu, Jos. He could not give reasons why he ran away from home. All entreaties to make him give reasons for his actions proved abortive. Solomon said the bus conveying from Jos got to Lagos late at Sunday evening, adding that he passed the night sleeping under the foot bridge at the Ojodu Berger Bus Stop. He said he knew no one in Lagos before embarking on the journey. Source said checks on his body did not betray any evidence of physical abuse. He also couldn't give the phone contact of his parents or any of his relatives based in Jos, Plateau. Solomon has been taken to Olusosun Police Station, behind Phillip, Ojota by the RRS Team. The source disclosed that he would be taken from there to a station where radio signal would be raised to the closest police station to his house in Jos.